Hello all! 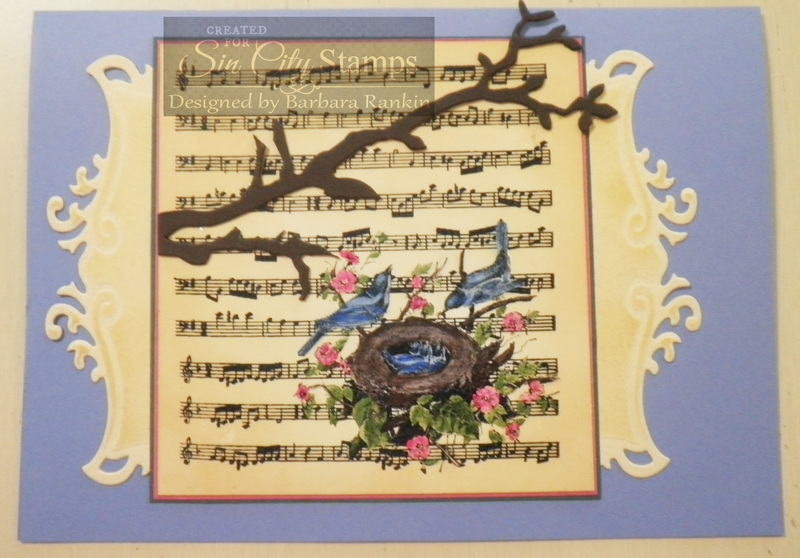 I have a really pretty vintage style card to share with you today using two of Terri Sproul's new stamp sets from Sin City Stamps. Stamp image onto slick white card stock with black StazOn or any permanent ink. 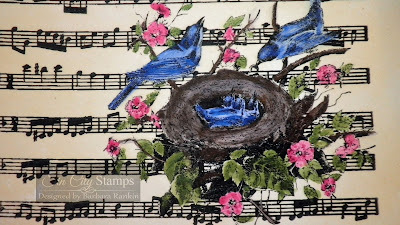 Paint the birds, nest, flowers and leaves with Twinkling H20s in Burnt Umber, Pink Azalea, Ocean Wave, and Moss Green. The best way to activate the "twinks" is to spritz water into each pot and let them sit for a few minutes. 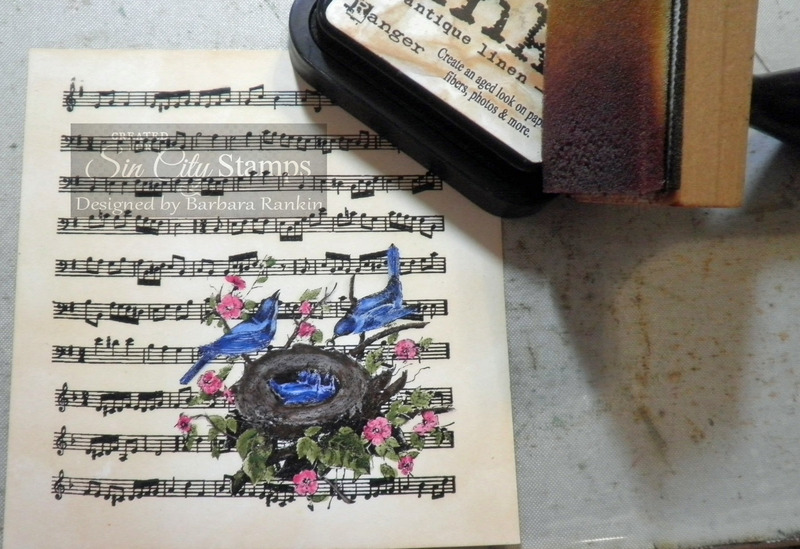 I wanted to age the paper, so I used a blending tool to add Antique Linen distress ink to the white card stock. 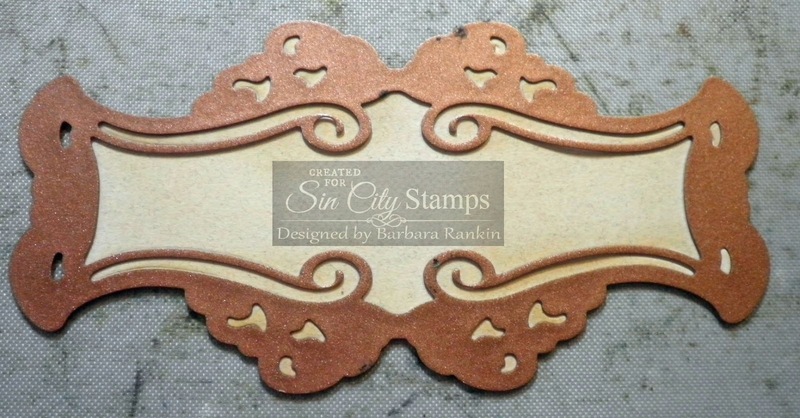 Here is a close up of the coloring with the antiqued background. 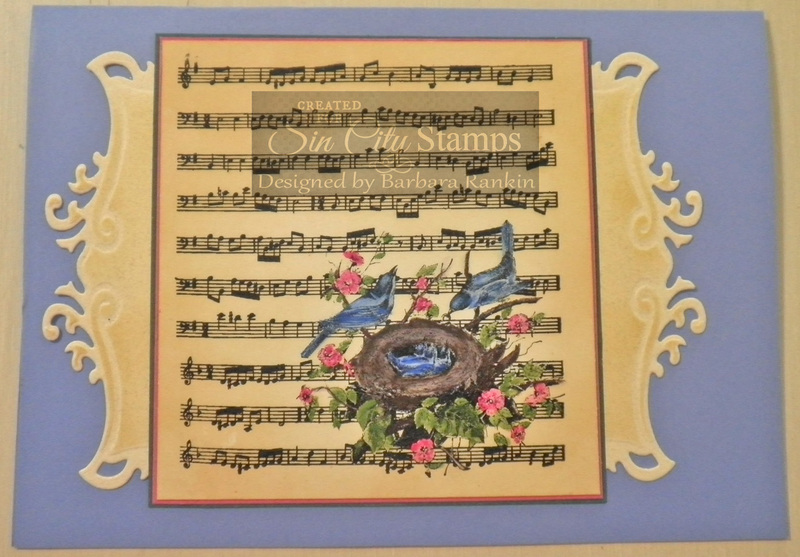 Next, I layered this piece onto a pink card stock layer, then onto a dark green card stock layer. 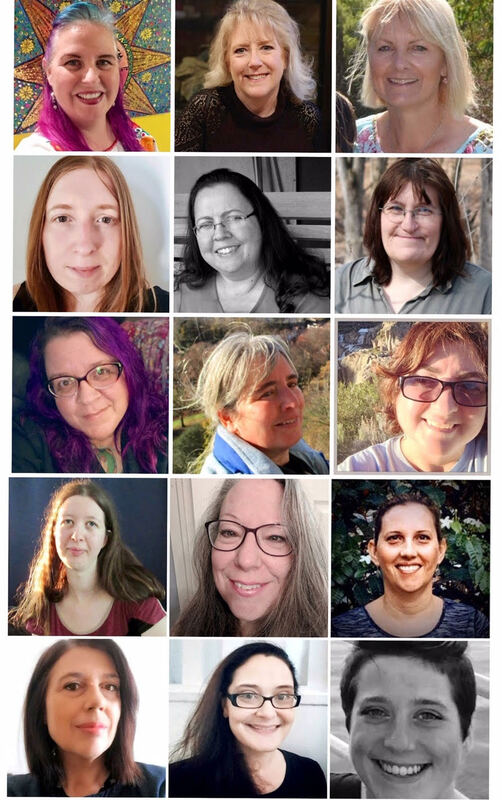 I left the tiniest border of each color around the image. 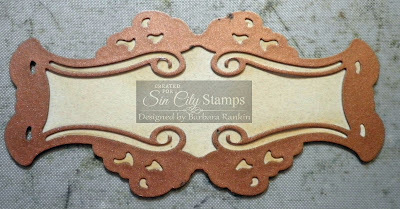 Then I die cuts a piece of tan card stock with the Fancy Tags die, and before removing the paper from the die, I used the blending tool to add more Antique Linen distress ink to it. When I removed the die, the tag now has this nice, aged look and highlights. 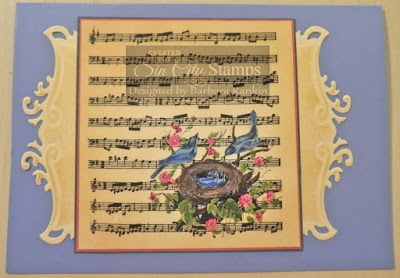 I adhered the stamped piece slightly off center of a 5"x7" periwinkle blue card base, and I cut the tag in half, adhering each half to the sides of the stamped image, as shown. Die cut a branch from brown mat board with the bird branch die and adhere to the card front above the nest image. 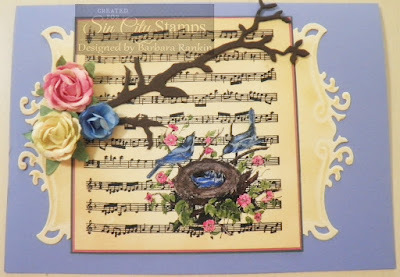 Add some paper flowers to the left side, covering the edge of the branch. 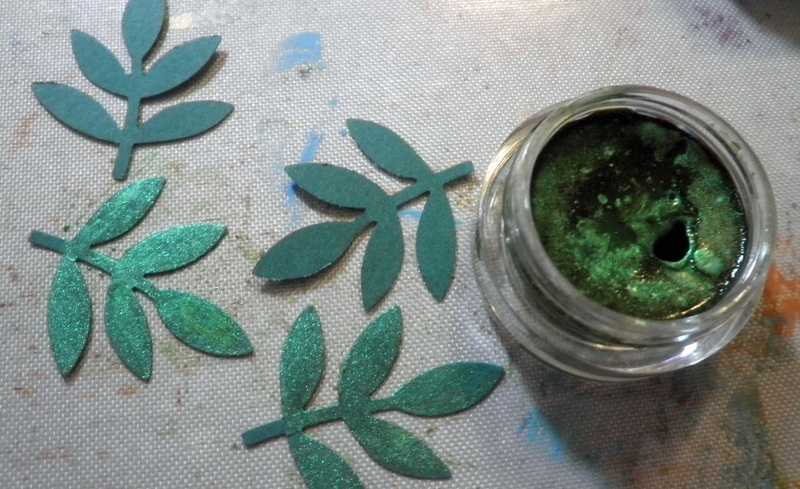 Punch several leaves from the dark green card stock scrap, and paint with the Moss Green Twinkling H20s. Adhere the leaves around the flower bouquet, and cut leaves apart to add to the branches. 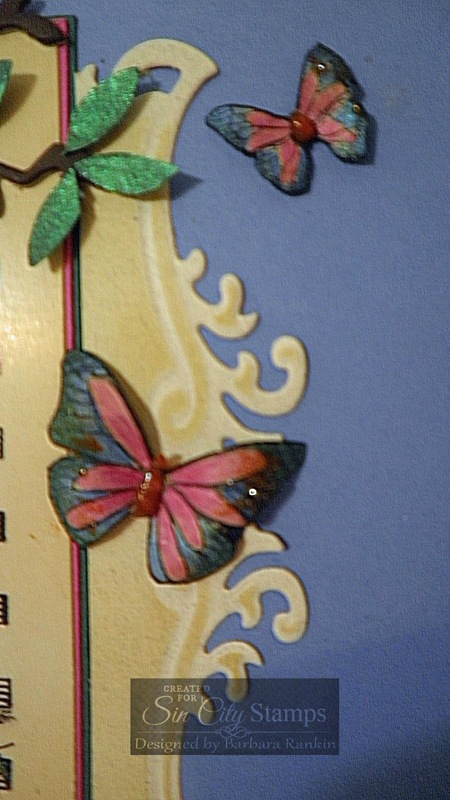 The give my card a nice balance, I decided to stamp two butterflies from the Terri Sproul's Wish stamp set with black StazOn ink. I used the Pink Azalea, Ocean Wave, and Moss Green twinks to color them. 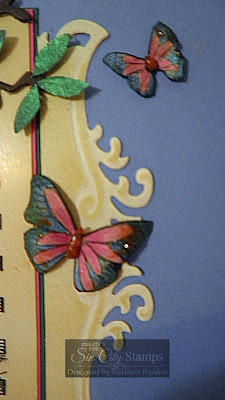 Then I fussy cut them out, shaped their wings and adhered to the right hand side of my card. I added Amber glitter liner to their butterfly bodies. 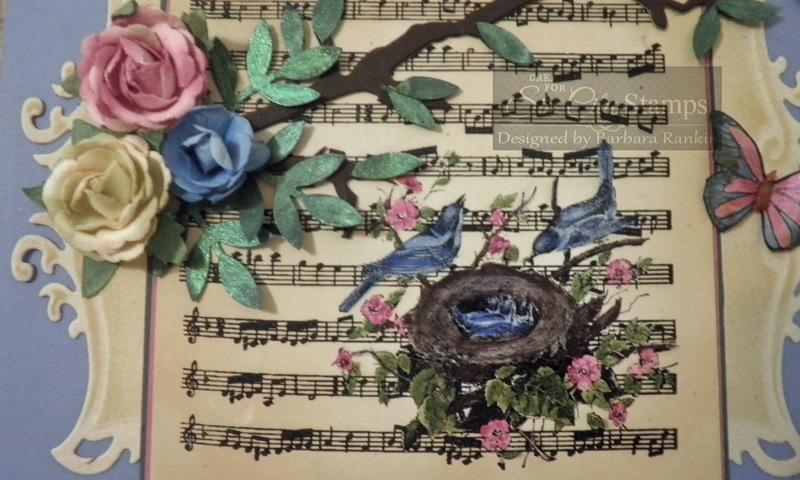 I hope you enjoyed my card project today. I love these sets and I think you will too. 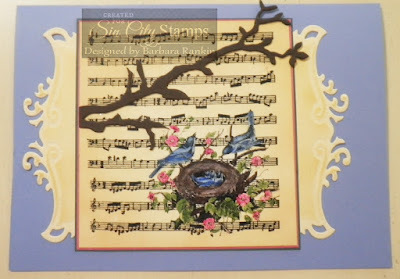 So pop on over to the Sin City Stamps online store and check out all of the new sets and products that Sin City Stamps carries. OMG this is amazing!!!! I have been eyeing this stamp!!!!!! 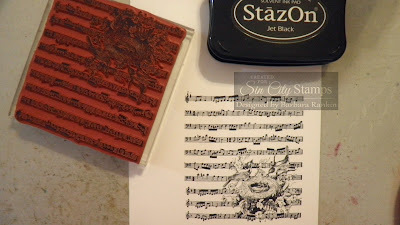 It is a beautiful stamp, Chris! I love its vintage feel. 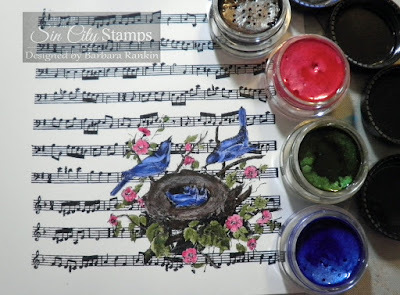 I really love how you colored elements of the stamp andadding branch and its coloring is awesome!! 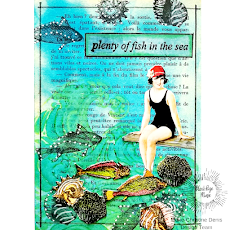 Absolutely love this card and the vintage look and feel it gives. Beautifully done, love the vintage look! Love the birds! 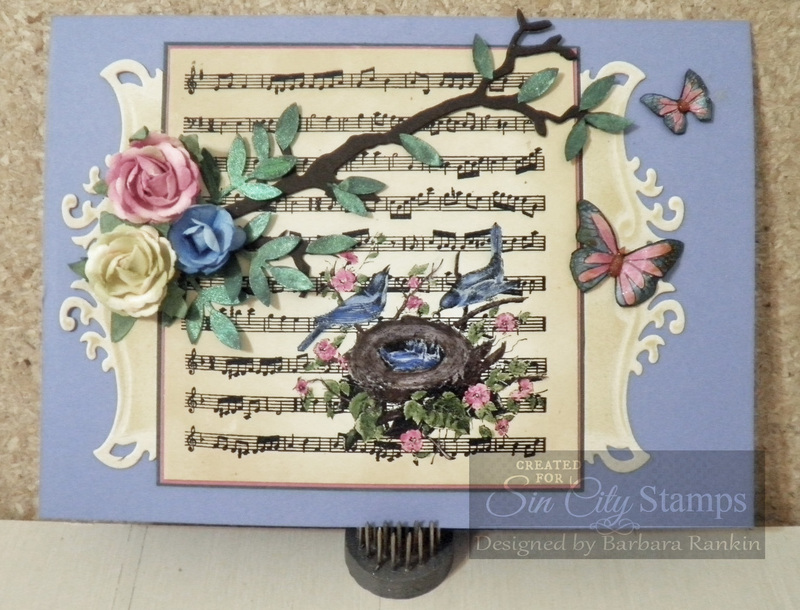 %^ey just jump right out :) a beautiful vintage style !